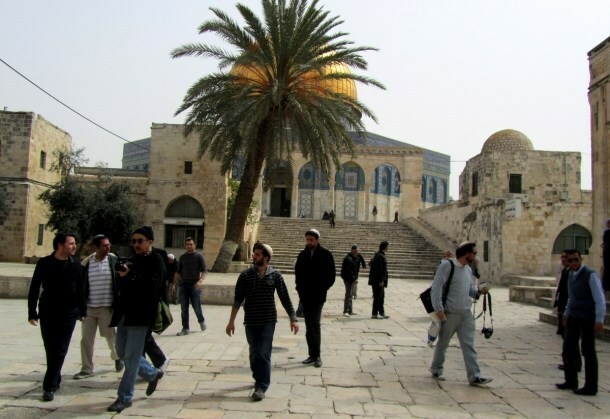 Israeli settlers stormed Monday morning al-Aqsa Mosque from the Magaribeh gate under heavy police protection. According to Jerusalemite sources, dozens of settlers stormed in three groups al-Aqsa Mosque plazas from the Magaribeh gate and tried to perform Talmudic rituals before being expelled by the Mosque's guards. In the same context, security restrictions are still imposed on the Jerusalemite worshipers’ entry into the holy shrine, the sources added. Israeli forces and policemen have intensified today their presence in occupied Jerusalem after Prime Minister Benjamin Netanyahu ordered a significant increase in police deployments adding about 400 policemen to those already deployed in the holy city. 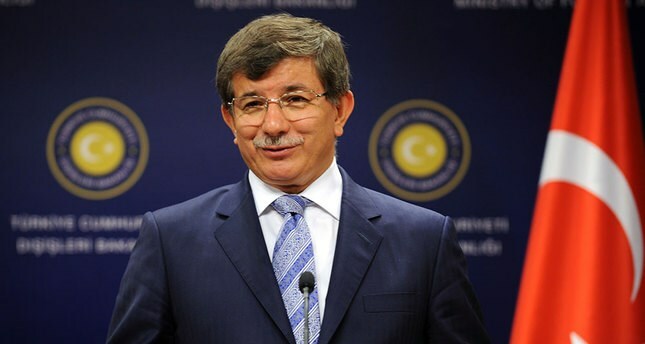 Turkish Prime Minister Ahmet Davutoglu on Sunday said that Turkey stands behind Palestinians in their efforts to confront Israeli attempts to "wipe out the Islamic character" of Jerusalem, Israeli media sources reported. Speaking to reporters in the central Turkish city of Konya, Davutoglu confirmed that "Turkey won't accept any Israeli changes on the status quo at al-Aqsa Mosque." Davutoglu's statements came a day after meeting with Hamas chief Khaled Mishaal, who is visiting Turkey to attend the fifth general congress of Turkey's ruling Justice and Development Party. 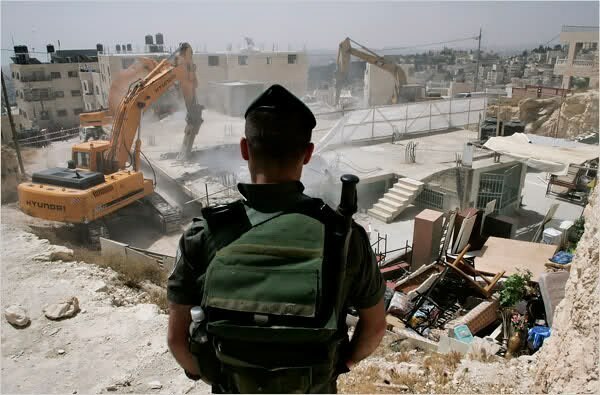 The Israeli occupation authorities (IOA) are considering bids to construct 12 new factories in the industrial zone of Mishor Adumim in Occupied Jerusalem. The Israeli Kol Ha’ir newspaper reported that the IOA opened the so-called Bezeq Textile factory in the industrial zone and that the construction of some other 12 factories, to manufacture alimentary and wood products, is underway. The newspaper said the new factory is built over Palestinian land tracts covering an overall area of some 1400 square meters. Meanwhile, the Egyptian foreign ministry, in a statement Saturday, condemned the IOA’s decision to build 307 new settlement units in East Jerusalem’s illegal Israeli settlements and some other 73 units in Bethlehem. Egyptian foreign ministry spokesman spoke out against such an Israeli decision dubbing it a blatant violation of the international law and the Fourth Geneva Convention which prohibits the occupying power from altering the geographic and demographic character of occupied lands. He said that the continued settlement activities and provocative Israeli practices foil efforts exerted toward resuming Palestinian-Israeli negotiations based on the terms of reference of the peace process and the two-state solution. He further called for international intervention to stop such Israeli practices and avoid getting caught in a vicious cycle of violence. 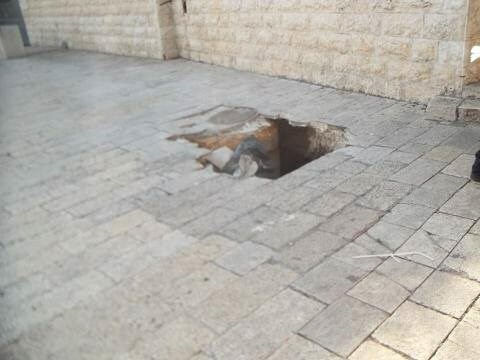 Land caved in at the Buraq plaza inside the Maghareba gate of the Aqsa Mosque in occupied Jerusalem on Friday as a result of the network of tunnels dug by the Israeli occupation authority (IOA) under the holy site. Local sources said that the land subsidence was violent and went two meters deep, adding that no casualties were reported among the worshipers who usually crowd the holy site on Friday. 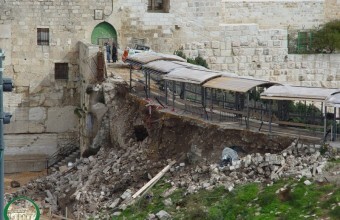 The sources attributed the sudden collapse of the land to the IOA unceasing excavations underneath the Aqsa Mosque. They charged that the IOA hopes that its diggings would lead to the collapse of the entire Mosque to make way for the building of the alleged temple. According to latest reports, constant Israeli excavations underneath Al Aqsa Mosque have caused serious destruction to the foundation of Buraq Square, inside the Dung Gate. According to the PNN, local sources reported a huge collapse of 2 meters in the foundation. No injuries among the group of worshipers and citizens were reported. However, sources have confirmed the existence of a network of tunnels underneath the mosque's courtyards, where the Israeli occupation continues to excavate in an apparent attempt to incrementally demolish the mosque and rebuild the alleged Temple. The Israeli Ministry of Religious Affairs has allocated 7 million shekels to renovate what they call the tomb of prophet Samuel area in Occupied Jerusalem which is in fact the Burj Al Nawatir village mosque and its surroundings. The Israeli army completely closed the mosque area and its endowment lands using barbed wire and set up a checkpoint at the entrance to interrogate Muslims when they come to perform prayers. Since 1967, the village has been subject to demolition, displacement and siege campaigns and only a quarter of its population (258 persons) are still living close to it after it was torn down under the pretext of saving rare monuments in 1971. Emek Shaveh, an Israeli organization specialized in the role of archaeology in the society and the Israeli-Palestinian conflict, confirmed that the archaeological diggings that have been taking place since 1992 haven't shown any evidence of Jewish monuments. The organization further added in a study that all the monuments found in the village are Islamic; most importantly a historical mosque. Yonatan Mizrahi, the supervisor of the study, admitted that: "Israel is committing violations in prophet Samuel tomb for expansion ambitions and controlling desires"
Samuel Mosque is an ancient Ottoman mosque and an Islamic endowment that includes agricultural lands, and its location is strategic as it views Jerusalem and the whole Palestinian coast. 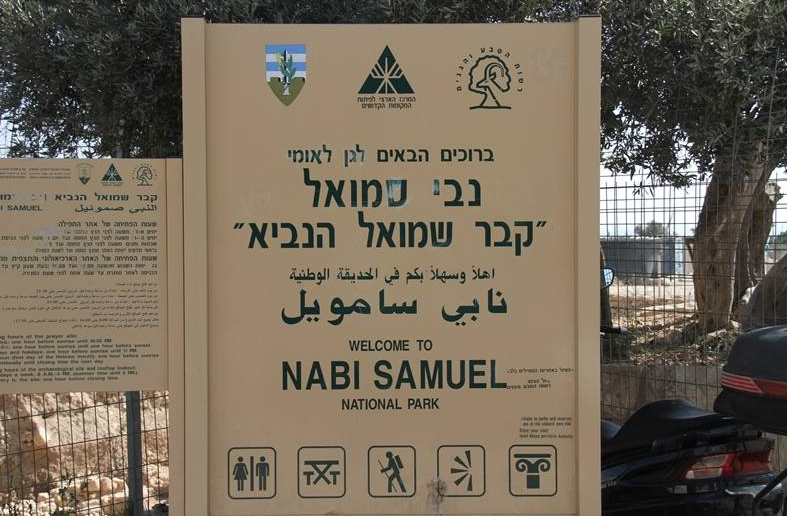 The Palestinian Ministry of Endowment considered the Israeli Occupation Authorities (IOA) decision to annex Prophet Samuel mosque to the Israeli Park Service "a continuation of the religious persecution practiced by Israel against the Islamic and Christian sanctities in the Palestinian territories"
The ministry also pointed out that the Israeli scheme to build a Talmudic school and settlement outposts by controlling this Islamic sacred region is a clear evidence of the Israeli attempts to falsify the history. The ministry confirmed that it will exert every effort to bring the ownership of the mosque back to the Islamic endowments in Palestine and will inform all international cultural and religious institutions of this flagrant violation of the Muslims' feelings. For its part, the Aqsa Foundation for Endowment and Heritage has warned of the Judaization practices carried out in the mosque like turning the basement of the mosque into a synagogue. 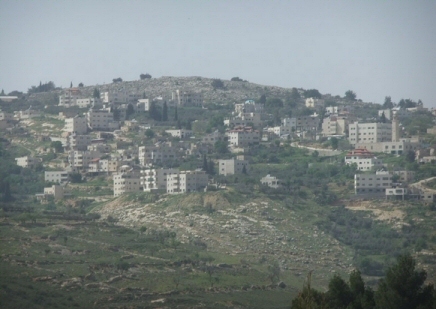 In a related context, the foundation also warned of the schemes that aim to seize the houses in the village, as Israel's TV Channel 1 broadcasted a report few days ago claiming that many houses in the village were "bought" at high prices by Israeli individuals bodies. In 1995, the IOA converted about (3500 acres) of the village lands to a "national park" in an attempt to invest the lands of the village as it attracts visitors and foreign tourists. Ever since then, the deported village residents have been prevented from farming their lands and herding their sheep. Moreover, Prophet Samuel residents are not allowed to enter Jerusalem and they have to take long bypass roads so as to enter the two adjacent villages Beit Iksa and al-Jib because of the walls and the barriers.